NEW YORK, NEW YORK–(Marketwired – September 9, 2013) – Editors Note: There is a photo accompanying this press release. VistaJet, the leading Global business aviation company, and Jet Aviation, a leading business aviation services company, announced today that Jet Aviation Flight Services will operate and manage a U.S.-based fleet of Bombardier Global jets for VistaJet’s Flight Solutions Program. Service on the first three aircraft is scheduled to begin in March 2014, with the U.S. fleet expected to grow to 12 all new Bombardier Global jets. The total value of VistaJet’s aircraft fleet commitment is U.S. $600 million. 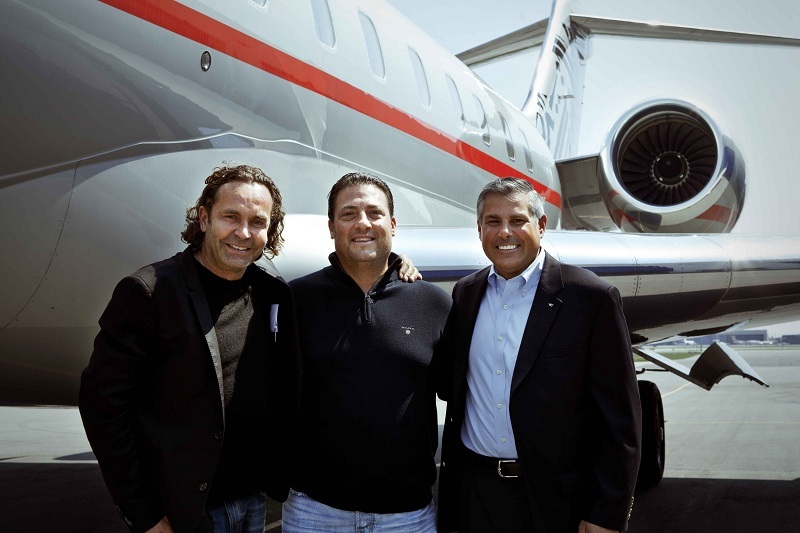 The first VistaJet aircraft to be operated by Jet Aviation in the U.S. under this new alliance will be based at Jet Aviation Flight Services’ Teterboro, New Jersey, facility while additional aircraft may be located at other Jet Aviation U.S. locations depending on demand and seasonal traffic within the country. “The U.S. services operated by Jet Aviation will mirror the worldwide VistaJet model. The aircraft will fly from one destination to the next, keeping empty leg flights to a minimum,” continued Mr. Flohr. VistaJet Flight Solutions Program customers are the direct beneficiaries of this model as they are only charged for occupied hours and enjoy guaranteed availability and guaranteed price per hour. VistaJet leads the industry with the youngest fleet in the sky – the average fleet age is less than two years and all aircraft operate under their manufacturer’s warranty – based across the largest service area in the business to seamlessly connect the globe. “We are by far Bombardier’s largest Global aircraft customer and with a Think Global strategy of deploying brand new aircraft into the U.S., Europe, Russia, the Middle East, Asia, Africa and soon China, VistaJet is defining the new business aviation landscape with its silver aircraft with the red stripe,” added Mr. Flohr. Jet Aviation Flight Services is responsible for delivering Jet Aviation’s aircraft management and charters services in the Americas. With U.S. based offices currently located in Teterboro, N.J., Van Nuys, Calif., and Chicago, Ill., the company provides services for a fleet of high-quality managed aircraft and was named in Robb Report’s “Best of the Best” for charter services for three consecutive years. Jet Aviation currently manages more than 100 aircraft in the Americas. VistaJet owns, operates and provides access to the largest privately owned Bombardier business aircraft fleet – over 35 aircraft – the majority of which are large cabin, long-range Global and Challenger jets. Renowned for its consistency around the globe and as the only provider to offer an identical cabin design throughout its fleet, VistaJet’s global strategy of connecting its customers to every corner of the world with point-to-point coverage has made it the clear market leader with unparalleled experience flying in to, and out of, the hardest-to-reach destinations. News and information are available at www.vistajet.com. VistaJet will not act as a direct or indirect air carrier within the U.S., but solely as agent for its customers to arrange flights on aircraft operated by Jet Aviation Flight Services, Inc., a licensed U.S. direct air carrier. Jet Aviation Flight Services, Inc. will maintain full operational control of all flights arranged by VistaJet on behalf of its customers. Jet Aviation Holdings USA Inc.